Crystal healing provides a perfect platform for improved mental, spiritual and physical health. Lie back and relax as Sarah Jane intuitively selects the right crystals to blend with your energy to re-balance and re-energise you physically, emotionally and spiritually. 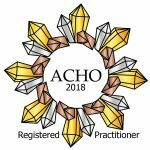 Crystal healing is a holistic, non-invasive and natural therapy that will leave you feeling refreshed, restored and de-stressed, a perfect platform for improved physical health. When using crystals for healing, their energy actually blends with your energy, therefore transmuting and/or amplifying the vibration frequency or the energy within your body. How does crystal healing therapy work? 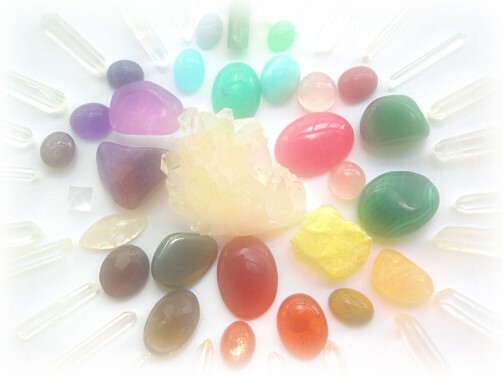 Crystal therapy is based on the premise that crystals can balance and interact with the chakras which are connected to energies flowing around the human body known as the aura. On a microscopic level a crystal is a network of repeating geometric patterns made up of compressed ions, atoms and molecules. Every crystal has its own unique electromagnetic charge. These charges or ‘healing vibrations’ interact with the body’s energy centres (chakras) to remove ‘blockages’ and restore a healthy balance and flow through the body mind and spirit. Click here to learn more about our seven main chakras and aura. I practice from The Collage of Psychic Studies in South Kensington, London, my home or at your home depending on space and distance. I also attend some Mind Body soul and Holistic shows from time to time. I offer a welcoming, private and relaxing healing environment. As with most alternative and complementary therapies, you will first be required to have an initial private and confidential consultation. The initial consultation is basically an opportunity for me to learn about your medical history and your lifestyle as possible, as crystals are very powerful and must be used with due care and attention. You will then get comfortable on the healing couch or a chair with a blanket covering you and some soft music just in the background. You will not be required to remove any clothing apart from your shoes, watch, jewelry or belt buckles. I will then help to induce a deep state of relaxation before assessing your chakras and energy field. I then intuitively choose crystals with the help of my guides for each individual patient, as each healing is different. Every crystal vibrates to its own specific type of energy, which causes it to resonate at a certain frequency. I place these crystals on the chakras or different areas of the body and channel healing energy from the Divine source to activate the healing like with reiki or other energy healing therapy’s, for around twenty minutes. This helps to restore stability and balance to the body’s energy systems, stimulating the body’s natural healing mechanisms. I may also use sound tools for example a Tibetan or crystal bowl/bell or Koshi chimes as needed and make sure the aura is clear of anything that is no longer needed or has been released during the treatment. When the session is over I will place my hands on your knees and call your name. Once I have managed to ground and balance your chakras and energies and you are feeling real sense of well being, I can then start to work on deeper issues on the emotional level which can help to reprogram and remove old false belief patterns. I can also work on aligning your body or healing your grid lines to name but a few of the many different and powerful healing methods that can be achieved using crystals. After the healing I will explain what happened and if you wish to share some of your experience we can discuss the meanings behind this. Each treatment lasts approximately one hour.